Boys Nightwear, boys pyjamas, Disney and popular characterd names. 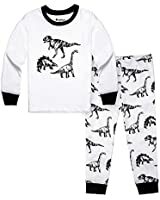 Boys nightwear, comfortable easy fitting sleep suits comes in various styles short and top nightwear, elasticated waist pants and longsleeve tops for cold nights. Boys nightwear includes various brands and popular high street and kids tv name brands. Frozen nightwears, Mickey Mouse, Disney Star Wars, Football favorites, Toy Story, Cars and much more. BOYS BART SIMPSON GREY & BLUE PYJAMAS SET. BOYS BART SIMPSON GREY & BLUE T-SHIRT & TROUSER PYJAMAS SET.